Keeping the peace on Earth isn't going to be easy, so you'll need to gather a well-rounded team of heroes to increase your odds of success. Be ready at any moment with this Overwatch Pop! Vinyl Figure at your side. 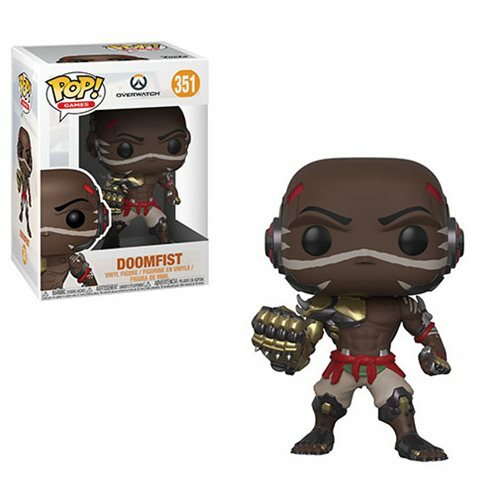 The Overwatch Doomfist Pop! Vinyl Figure #351 measures approximately 3 3/4-inches tall and comes packaged in a window display box. Ages 3 and up. Made in China.